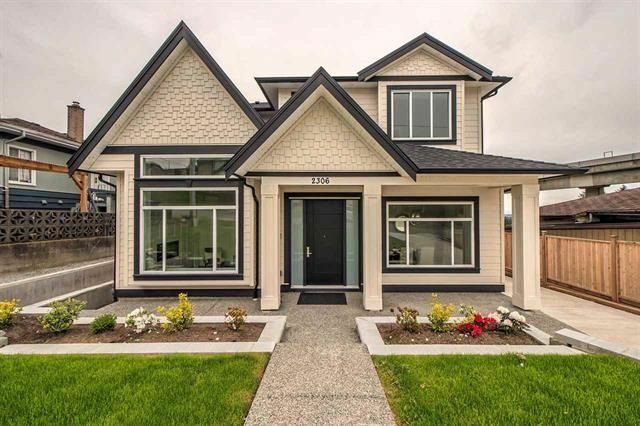 Best value for a New Home in New Westminster! Conveniently located in the west end of the city, it allows quick access to Vancouver via Marine Way. Enjoy river and ocean views while relaxing on your rear deck in this quiet family neighbourhood. Designed for a modern family with three bedrooms up, all enjoying en-suites. High ceilings on the main floor add the feeling of space to the stunning kitchen and additional wok kitchen. Radiant in-floor heat and comfortable air conditioning provide a perfect combination for comfortable living in every season. Basement provides a recreation area for the family or entertaining friends plus valuable additional income with a suite. 2-5-10 year warranty provides confidence to the home owner. Quality built without compromise. Call today to view!